BASCO– The northernmost and smallest province in the Philippines, the island of Batanes is also dubbed as the “Nature’s Playground” as it boast rare flora and fauna, undulating terrain, limestone cliffs, stretches of white and cream-colored sandy beaches and clear waters. Ivatan houses are made of thick walls of stone and lime and several layers of cogon serve as the roof. These materials are designed to withstand strong typhoons, earthquakes and other calamities. Although accessible by scheduled flights from Manila, accessibility is still an issue due to the remoteness and weather patterns in the island. So it’s very important to be very mindful of the 10 tips I have for you. I was definitely on cloud nine when I scored a Batanes promo fare this month because the island is known as one of the least discounted destinations in the country. But lo and behold, come June 8-11, Batanes dumped rains during half of my entire trip. The hills are alive! The Vayang Rolling Hills are seemingly endless! A sturdy pair of legs is what you need in order to explore this scenic location. The rolling hills also serve as a great vantage point for a good view of Batanes’ 3 major islands. But then I gotta stick it out with my promo trip though. So, if you are planning to go to Batanes and enjoy a nice and dry stroll, and calm boat rides, the best time will be during the dry months of March to May. 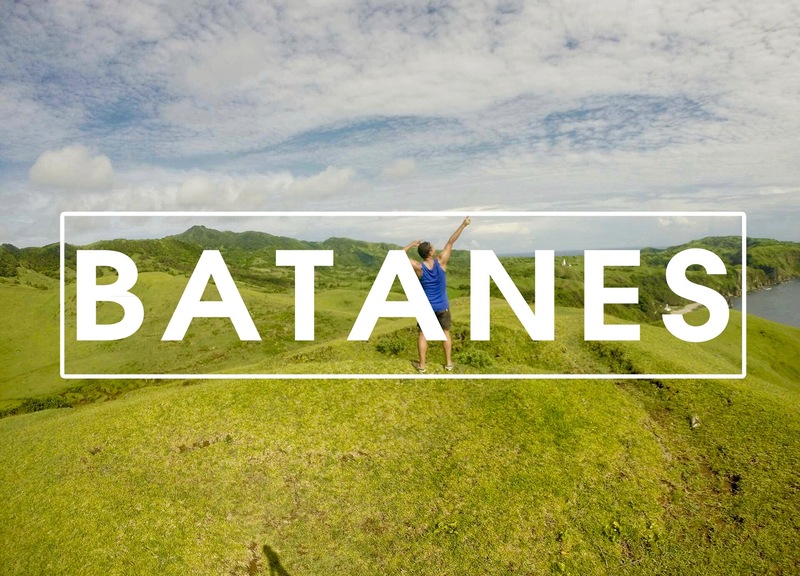 Cheap hotels, hostels, inns and even homestay(s) abound in Batanes. 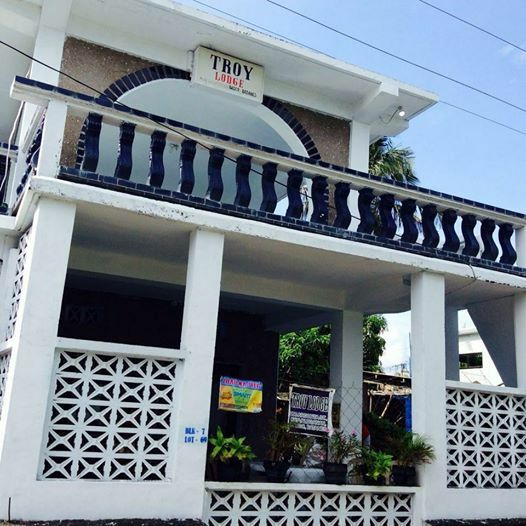 Your P1,500 or $32 could go a long way and give you a home for 3 days (that is if you’re gonna stay at Troy Lodge which I did!) And if you’re planning to come over, choose a place that’s close to the airport. The male Ivatan OOTD. The kanayi is a vest made out of voyavoy leaves. This is worn by male Ivatans when they go fishing or farming to protect their backs from the heat of the sun. And to complete the gear, there’s the salakot for my head. My home for away from home – the Troy Lodge. It’s cozy and the people here are nice. For inquiries and bookings, contact Ms. Erlinda Aberilla at 0905 390 6961. Proximity to the airport means greater telecommunication reception compared to other areas in the island. Another advantage is it will be easier to coordinate tours and get around from the capital of the province. There are a bunch of tour services and tour agencies that can help you explore Batanes. And I highly suggest that you’d rather book the cheaper tricycle tour where the driver himself will serve as your tour guide. North Batan and Sabtang tour will only cost P1,000 or $21 each while your South Batan tour is at P1,500 or $32. A good strategy for this is to befriend another solo traveler so you can split the cost of the tour, like what I did. Your friendly Ivatan tour guides. Meet Kuya Tom Viola (left) and Kuya Jun Hecha (right), my tour guides in North Batan and Sabtang, respectively. For tours, contact them through these numbers: Tom – 0928 761 1429; Jun – 0909 877 0155. Touring with the unique tricycle will also enable you to travel at your own pace. As well as the chance to experience things raw and soak in everything Ivatan versus touring with an air-conditioned van. Food is gold in Batanes. A meal will cost you P200-P300 or $6.50. So stuff your bags with bread, biscuits, chips, canned goods, etc. Or if the place you will be staying has a kitchen that you can use, then you can buy your supplies from the market and then cook for yourself. Roads in Batanes are mostly curved so you’ll see this friendly road sign in every turn. The hills are alive in Batanes! And you will most certainly climb every mountain and hills. But Sound of Music references aside, you must have strong legs. You need a sturdy pair in order to enjoy Naidi Hills, Tinyan Point, Racuh A Payaman, Basco Lighthouse and all other scenic spots. So do not skip leg day. And oh, wear comfortable shoes because there’s gotta be a whole lot of walking too. As green as the eyes can see. Racuh A Payaman, or also known as Marlboro Country, is perhaps one of Batanes’ most iconic tourist spots. Praised for its perfect contour, the endless rolling hills also serve as pasture lands for cows, carabaos and horses. Go big. Allot 1-2 weeks. I spent 4 days in Batanes. To most people, it’s satisfying already but for me, it’s bitin. Your 4 days will only let you get around North Batan, South Batan and Sabtang. Batanes has 10 islands so if you want to explore Itbayat, Vuhus Island, Dinem Island and all other islands in the island group, then you must go big and allot 1-2 weeks for your vacation. Fatten up your wallet because you’ll need all those cash for your trip. You can’t use credit cards in Batanes and you are expected to pay in cash all the time. Dubbed as the “Nature’s Playground”, Batanes boasts of rare flora and fauna, undulating terrain, limestone cliffs, streches of white and cream-colored sandy beaches and clear waters. Similarly, your cash is very important especially if you’re planning to go island-hopping. For example, if the waves are rough, you wouldn’t be allowed to sail in the ocean so you would need to stay wherever you are (yes, it happens). And staying means getting an accommodation and eating which is also synonymous to having money. 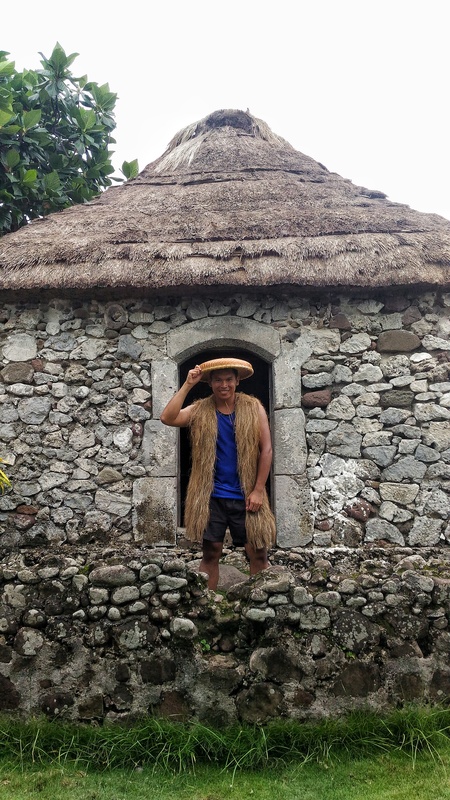 Everything in Batanes is teeming with history and culture. Taking a selfie in their scenic spots would be nice but I think it would be nicer to put some depth in your trip by learning something about our rich Philippine culture. Ask your tour guide why Racuh A Payaman was named Marlboro Country or why do Ivatans wear vakul and kanayi for example and they would be more than glad to explain things for you. Tranquility emanates from this quaint little barrio. Chavayan, a barrio in Sabtang Island, is considered as the cradle of Ivatan culture and heritage. It’s got ancient written all over it, with old houses lining up the narrow streets. Be nice like the Ivatans. Ivatans are one of the nicest people in the country. And one proof is the Honesty Coffee Shop, wherein there’s no standby seller and the customers just pay for their goods by dropping their money in a box. I also had a humbling experience wherein a lady gave me a 20-peso value 2 huge bundles of pako (seaweed) for only P10. They are that nice! Ivatans are warm and welcoming, with a smile ready to greet everyone. So be nice to them as well and be like the Ivatans. In every trip, the general rule is take it all in, indulge and rejuvenate. But for me, I have 2 more rules whenever I travel that I want to share with you – respect and reflect. Alongside admiration, we must also respect Mother Nature. It felt so sad seeing empty water bottles, candy wrappers and chichirya wrappers in the mountains and beaches. Taking it all in. In photo is the Ranum ni Kumalakal or Racuh-a-idi Spring of Youth embedded in the gorgeous view of the Diura Beach and Mt. Iraya. What’s not to love? For those who would like to bask in the glory of Batanes, see green and think green and clean as you go. Also, my Batanes trip made me reflect about life. In Manila, everything is on a grind, we are so obsessed about titles, fame, money and properties. In Batanes, all they care about is having food, shelter and surviving on a daily basis. They sleep at 9:00 p.m., they go to their neighbors to socialize. Everything is simple and laidback. The fact that it is possible to live an uncomplicated life definitely amazed me. I wish everyone can dig deep in themselves and realize that simplicity is bliss. So that’s what I realized (I still have a lot in my mind but I don’t have enough space to discuss them all here). I’m leaving Batanes with a happy heart knowing know that all these reflections and memories will definitely make me a better person. *Philippine Airlines and SkyJet have regular flights to Batanes from Manila. ABOUT THE CONTRIBUTOR: Harry Bayona, 28, loves traveling because he likes going to places and immersing in cultures he’s never experienced before. He believes traveling (specifically solo traveling) enables him to dig deep into his soul as he discovers things about himself and the world at large. ViajeroMNL (Viajero Manila) is a lifestyle blog site that features different pop culture, travel, and food destinations in the Philippines.